Isla and her brother are two young foxes living just outside the lands of the furless - humans. 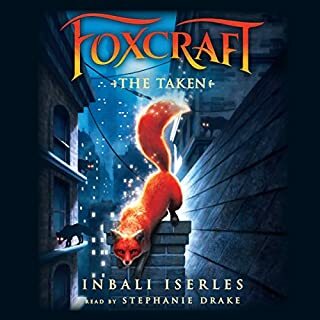 The life of a fox is filled with dangers, but Isla has begun to learn mysterious skills meant to help her survive. Then the unthinkable happens. Returning to her den, Isla finds it set ablaze and surrounded by strange foxes, and her family is nowhere in sight. Forced to flee, she escapes into the cold, gray world of the furless. 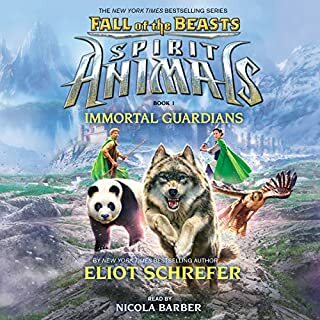 Now Isla must navigate this bewildering and deadly terrain, all while being hunted by a ruthless enemy. For many moons, ThunderClan, ShadowClan, RiverClan, and WindClan have lived in peace in their territories around the lake. 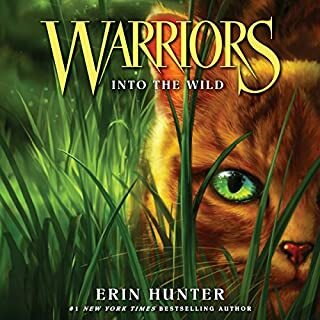 But now, they must decipher a mysterious prophecy - a message that will send one young medicine cat apprentice on a quest to determine the fate of all the warrior Clans. High in the mountains, deep in the safety of a cave, a brood of dragons is born. The four young ones are among the last of a dying breed---the final hope for dragons' survival. But hope shatters when a murderous group of slave-trading dwarves breaks into the cave, leaving death and destruction in its wake. Only young Auron, a rare scaleless gray dragon, manages to escape. 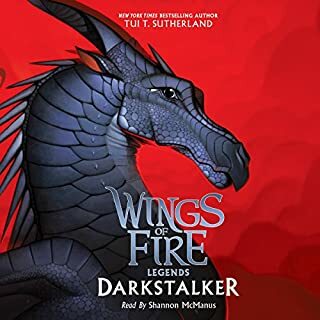 The Wings of Fire saga continues with a visit to the mysterious land of the NightWings, where Starflight must face a terrible choice - his home, or his friends? The dragonets of destiny are on their way to see the NightWings - and Starflight doesn't need his psychic powers to know it isn't going to go well. Starflight knows it's his duty as a NightWing to convince the other dragonets to choose Blister as queen. 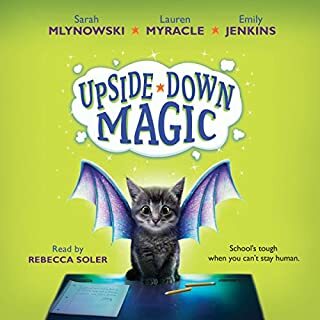 But he can't help feeling that there's something Morrowseer and the other NightWings aren't telling him, something that could put his friends in grave danger. While other NightWings have their powers to help them, Starflight has to rely on his brain - and with SkyWings chasing them and Queen Burn on their tails, that might not be enough. ©2013 Tui T. Sutherland (P)2016 Scholastic Inc. I love this series es!!!!! 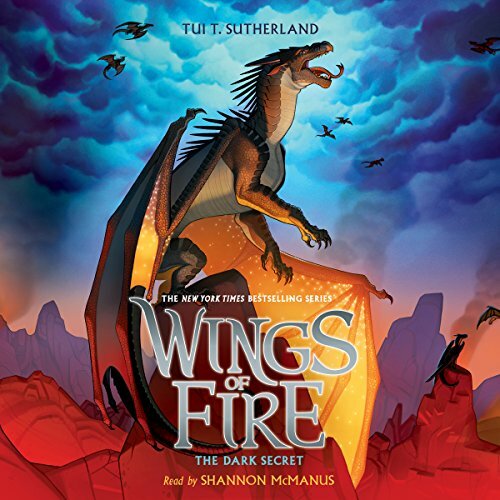 Wings Of Fire The Dark Secret is amazing . The story is so detailed. I love this book. I give this story 5/5. 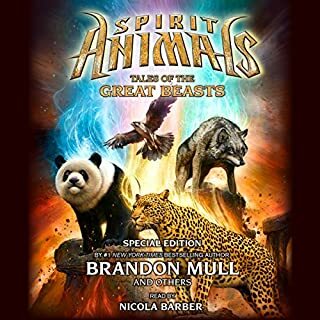 this is by far one of the best audiobooks i have ever heard. it’s a captivating story about an insicure dragon who feels that he is not brave enough to save his friends. all he has is his smarts and he is not sure if that’s enough. he is a very relatable person, er dragon. This was an AWESOME, AMAZING and EPIC book. It keeps one engaged and wanting to know what happens next in the story. And you will want to continue with the next book in the series right away! I highly recommend it! Well worth the read! Oh my gosh!!! This was so good!